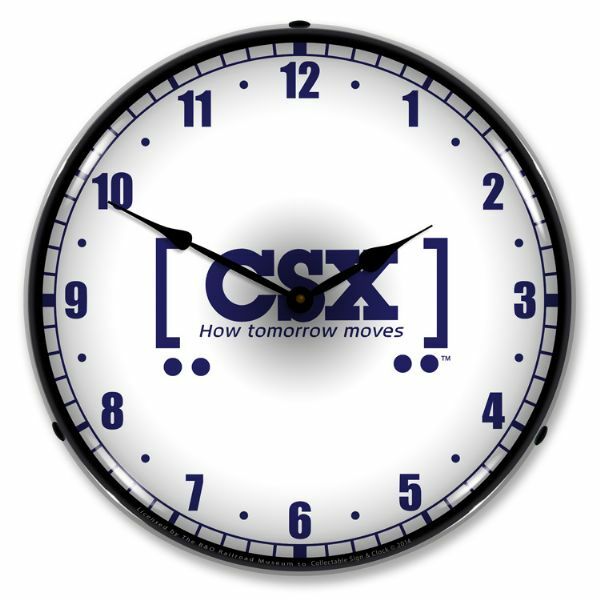 Up for sale is the CSX Railroad How Tomorrow Moves LED Lighted Clock. I'll start from the top. The clock measures 14 inches across. The outer lens is made from high quality optical lexan held in place with 3 removable rivets. It's scratch resistant and won't yellow over time. The advertisement face is cut out by a CNC router and the image is placed with a UV dried computer controlled printing process that will last for many years. 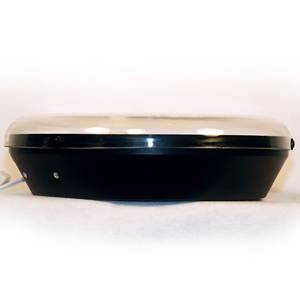 The back of the clock is made from black ABS plastic that houses an LED light source with an on/off switch in the cord. 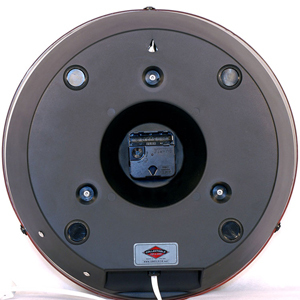 The clock is a battery operated quartz movement that runs from 1 double AA battery. This sign is awesome when lit! 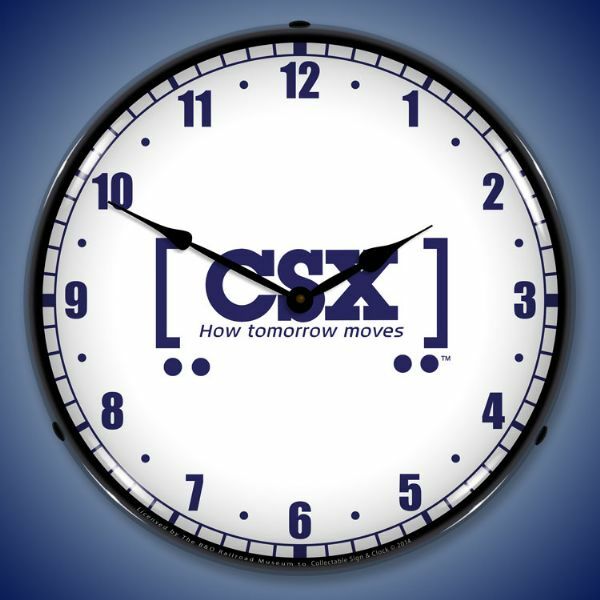 This is a must for any collector and would look great in your home, office, or garage.